Can you tell he loves this range? I’m still laughing that he wished he’d recieved the Sleepyhead Bubble Bath from the Pineapple Heads’ range, ungrateful little monkey! (Shhh, Ive bought it for him as a stocking filler for Christmas). 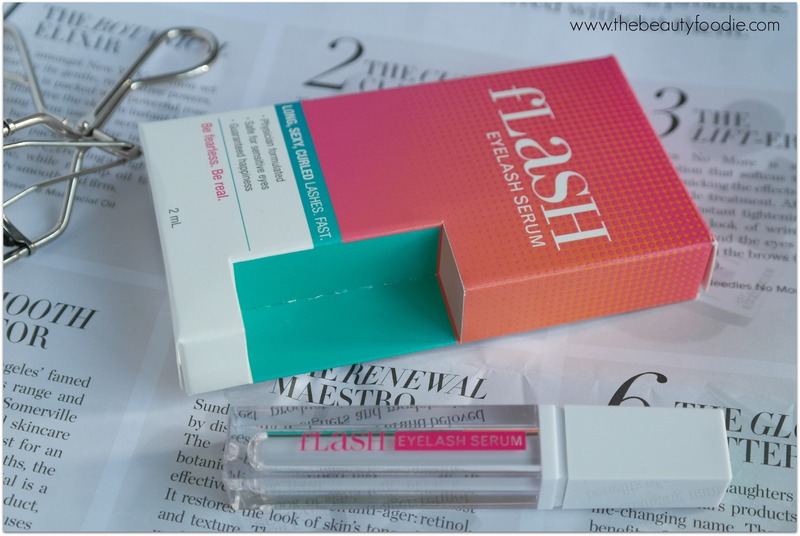 As a Mum, I love these products – and I love the story behind them too. Pineapple Heads is the brainchild of kiwi mum Megan Sanders who, after looking for some natural products for her son’s unruly hair, spotted a super-duper opportunity. She must be high-fiving herself now, coz – she’s nailed it. 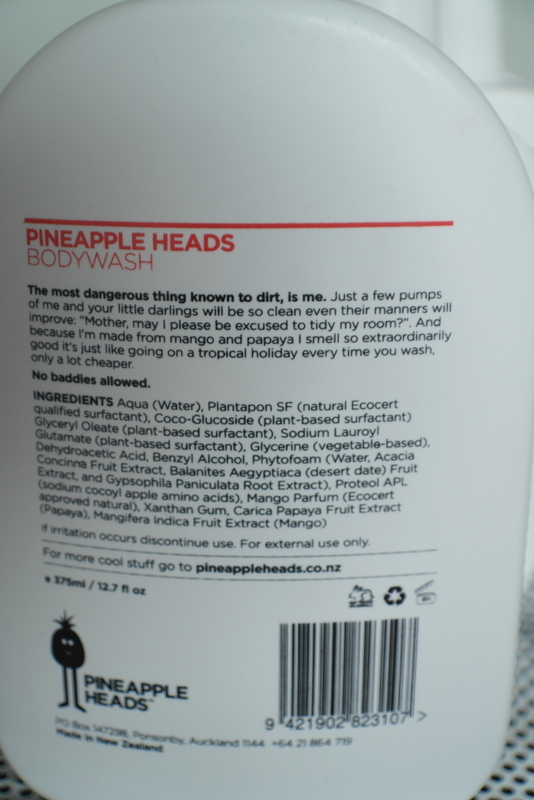 There’s eight products in the Pineapple Heads range. We got sent five (see pic below) and there’s also two bubble baths (including the Sleepyhead one Keagan is lusting after) and a detangler. Ingredients – also love the product description! Hilarious! As for testing: It’s all tested on kids: No fluffy bunny rabbits were harmed in the making of Pineapple Heads. We love this! In terms of quality, I’ve personally road tested all of them (hubby uses the hairwax!) and I’m giving it my big thumbs up. The shampoo and conditioner is fantastic – it leaves Keagan’s hair silky smooth and soft (mine too). The scent of all of the products is just heavenly: The conditioner, for example, is peaches, honeysuckle and lemon balm…. Good enough to eat! 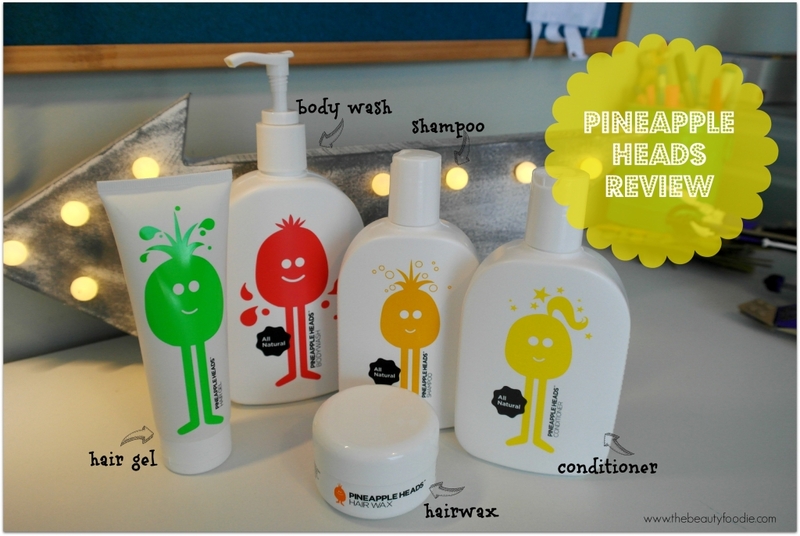 The Pineapple Heads range gets a massive tick from Keagan and I. Keags is so in love with his products he got his friends around from next door (two girls) and he took them to this bathroom to show off the range. He also hopped on the computer on his own free will to check out the rest of the range (hence he knows about the bubble bath) Cute! With Christmas around the corner, these will make tip-top kid’s presents. Price wise, these start from NZ$15.95 (shampoo and conditioner). The body was is $16.95 for a 375ml bottle (with a pump). This may seem pricey, but for what you get (local, all natural, made with love and great ethics) I think this is represents great value. Get in!